Fit two uniquely Icelandic experiences into one day! This tour combines a snorkeling tour of Silfra and a horsebackriding tour through valley of Mosfellsdalur. 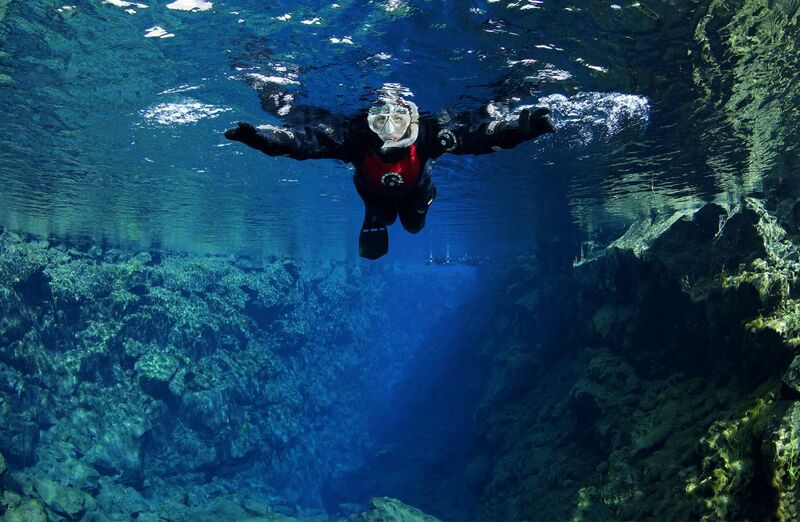 The magical fissure Silfra was created when the earth was ripped open by the movement of tectonic plates. 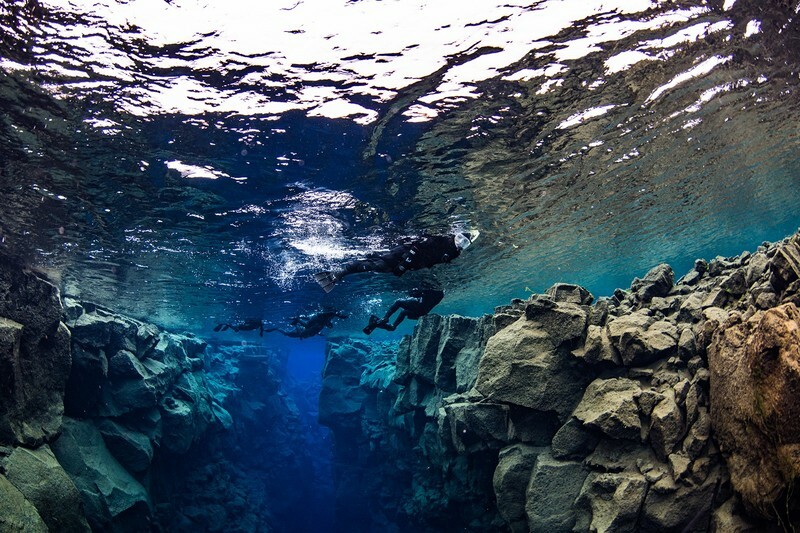 The fissure marks the divide between the North American and Eurasian tectonic plates and it is filled with crystal clear glacial water. The underwater visibility is over 100 meters, which opens up spectacular views and mesmerising colors. At Laxnes Horse Farm you will go on a pleasurable ride through the beautiful valley of Mosfellsdalur. Horse enthusiasts will already know that the Icelandic horses are an extremely special and protected breed, but beginners are also welcome to join the horseback riding tour. 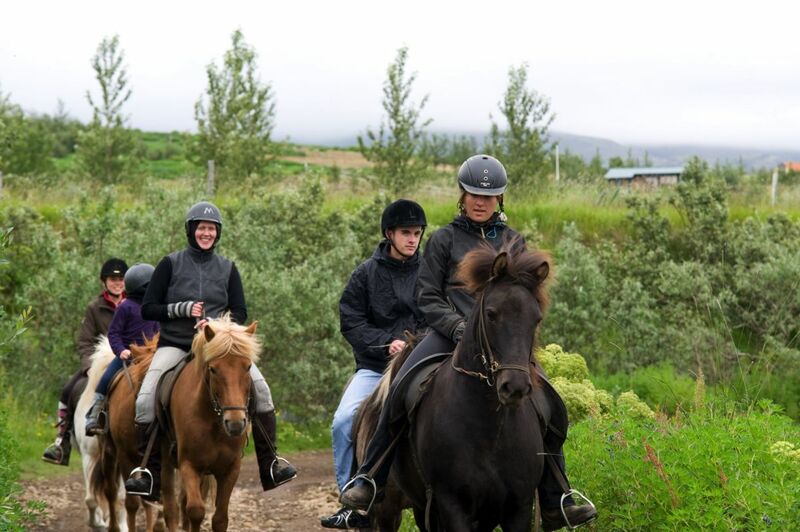 You will be provided with riding equipment before you are handed one of their friendly and sure-footed Icelandic horses suitable for both beginners and experienced riders. 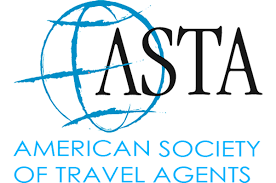 Please see the booking calendar for tour times. This tour is an enjoyable experience to remember!